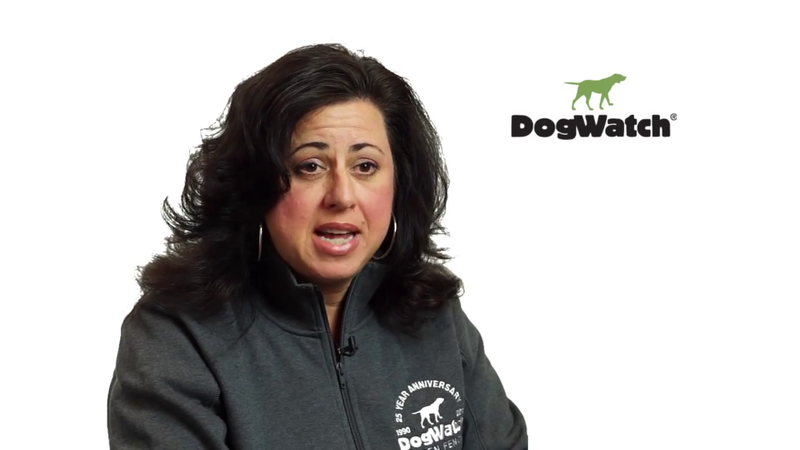 Robin Tomkunas is the owner of Jax DogWatch Hidden Fences, which offers invisible fencing and training products. She and her family live in Nocatee. My husband Tim and I grew up in Central Connecticut. We were high school sweethearts and were married after college in 1994. We were blessed with four amazing children, moved to Ponte Vedra in 2010 and in 2012 became foster parents in St Johns County. Our oldest daughter graduated from Nease High School’s International Baccalaureate program in 2012 and just graduated from Rollins College. She is headed to Miami to be a teacher for Teach for America. Our next daughter graduated from Nease in 2014 and attends University of North Florida, where she is studying nursing. Our oldest son just graduated from Nease a few credits shy of his associate degree and committed to University of Florida. Our youngest son will be entering his sophomore year at Nease, where he enjoys playing baseball. What’s the story of DogWatch Hidden Fences? DogWatch Hidden Fences has been surrounding dogs with freedom and safety since 1990. DogWatch is the ONLY hidden fence that uses an FM frequency; all other hidden dog fences operate on an AM signal. Our patented SafeLink Digital FM signal helps protect pets from unintentional “corrects” that can happen on the AM frequency (such as garage door openers, televisions, baby monitors, etc.). FM is a safer, more secure signal, and is only found at DogWatch. DogWatch uses a “distance-based" correction trigger rather than a "time-based" trigger. This provides a more reliable and consistent boundary for your pet. No surprises, no confusion. DogWatch is a better value than traditional fence or other dealer-installed underground pet fences. With the two-year battery life, fewer service calls, full lightening protections and an unconditional lifetime warranty included, even Consumers Digest agrees. All DogWatch dealerships are independently owned and operated; therefore, all dealers have a vested interest in customer service and satisfaction worldwide. What inspired you to move to Northeast Florida and open a DogWatch branch? When we lived in Connecticut, we owned a home that was on 1.5 acres, and the backyard had a 5-foot chain-link fence. We thought this was perfect for our German shepherd, Jake. Jake was an amazing family pet but did not like other animals. Every time one of the many doors in our home opened, our stomachs knotted as we were afraid Jake would get out and cause havoc in the neighborhood. We finally met DogWatch of Central Connecticut, who solved our problem. No more escaping the front door, side doors or jumping the fence! It was a dream come true! When the Northeast Florida Dealership became available, we jumped on the opportunity to purchase it. Tim had been an IT director for several years, and I had developed my family business in Connecticut with my father and brother. We felt confident we had the education, work ethic and understanding of the product to be successful, even in an area that was new to us. The part of my job that I enjoy the most is resolving pet issues for families along with developing relationships. I love knowing when I leave a home, I have provided that family with the absolute best containment for their specific needs, whether it be indoor boundaries, entire yard boundaries or assisting them with a remote trainer. Not every scenario is the same and not every family needs an outdoor system. We have dog walking tools, bark collars and remote trainers that aid in pet enjoyment. When I have free time, my family gets it all. We love going to the Guana Reserve, searching for shark teeth, kayaking and socializing at our favorite local restaurants. The only other place I can be found is a baseball field cheering away in the stands. Growing up in a small New England town was special, so I love that Ponte Vedra feels that way too. We have a special, close-knit community here. Our friends, neighbors and church family have been a huge blessing! We have been able to take part in many service projects, and it is not hard to find a friend or neighbor who is looking for ways to help another. We are truly blessed, and I cannot imagine a better place to be than right here in Ponte Vedra!